What Can Be Done When a Probation Officer Is Not Doing His Job? Most probation officers are dedicated public officials who undertake their jobs in an appropriate and reliable manner. However, from time to time there is a probation officer who is not doing his job. 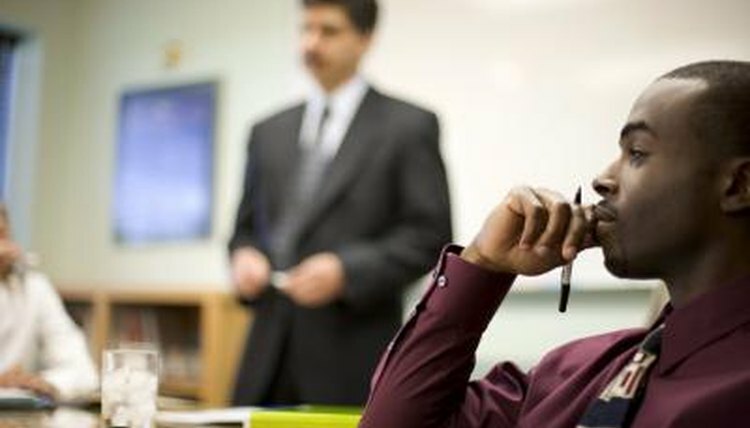 If you find yourself facing a probation officer who is not doing what he is supposed to do, you need to understand what steps to take to deal with your situation. Many probation offices provide a person wanting to lodge a complaint with a standardized form to use. So before you do anything about the probation officer who isn't doing his job, ask your probation office if there is such a document. With the complaint form--or on your own, if no such document is available--prepare a detailed report or complaint show why you feel the probation officer is not doing her job. Do not merely make opinionated statements; instead, list specific facts that support your contention that the probation officer is not doing her job. Attach any supporting documentation to the complaint to support the specific facts you list. If there are witnesses, get basic statements from them to include with your complaint. Schedule an in-person meeting with the probation officer's supervisor. Do not lodge a complaint over the phone. And do not merely send in the written complaint you prepared. Through a face-to-face meeting, you are better able to present more fully the information concerning the shortcomings of the probation officer's performance. The supervisor will also able to ask you specific questions and clarify points that may confuse her. If you fail to get satisfactory answers regarding a probation officer whom you feel is not doing his job, the next step is the court. In every judicial system there is a chief judge or a particular judge assigned to oversee the administrative operations of the court. The probation office is a part of the court system. Submit your written complaint regarding the probation officer not doing his job to the chief judge by delivering the complaint to the judge's chambers. If the complaint about a probation officer has to do with her performance in a particular case, the judge will only review the complaint, provided you confirm that the probation office has its own copy. Because you took a progressive approach to reporting the issue, the probation office will have a copy. If your complaint is reporting on the general conduct of a probation officer and does not involve a specific case, the burden of notifying the probation office is not as immediate. Generally, the chief judge is the ultimate authority on what can and cannot be done when a probation officer does not perform as required. Broemmel, Mike. "What Can Be Done When a Probation Officer Is Not Doing His Job?" , https://legalbeagle.com/5822882-can-not-doing-his-job.html. Accessed 19 April 2019.